How to spend 3 days in Vienna on budget and what is it most famous for? Potosi was founded in the 16h century after rich deposits of silver was discovered in Cerro Rico. The silver mines of Cerro Ricco have produced 60,000 tons of silver till now. At one time silver was so plentiful that mules had shoes made of silver instead of iron. Potosi is often called the first city of capitalism because the first mint and therefore the first currency was created here. List of places to see during a day trip in Potosi is given below. 1. Casa Nacional de la Moneda – The National Mint is the main attraction of Potosí and one of the most beautiful museums in South America. The first mint of Potosí was built in 1572 by order of the viceroy of Toledo on the current site of the House of Justice. The latter, his successor, is a huge and surprisingly beautiful building that occupies a whole block of houses. You do not have to be a historian to find the story of the world’s first money to be impressive. It is a must visit during a day trip in Potosi. 2. 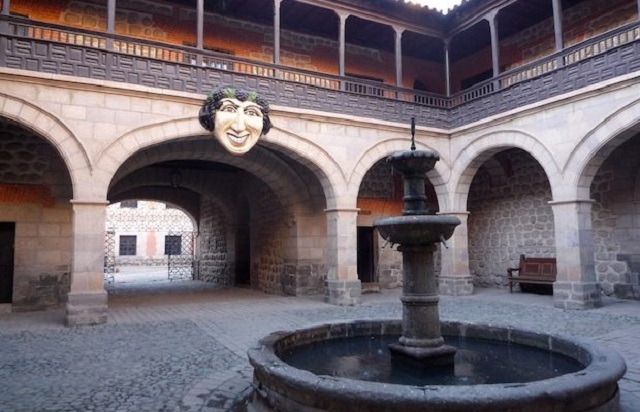 Museo & Convento de Santa Teresa – The fascinating Monastery of Santa Teresa was founded in 1685 and still houses a small community of Carmelites who have restored this imposing building and converted part of it into a museum. There are many quality art pieces, including a beautiful Madonna by the Castilian sculptor Alonso Cano, several paintings by Melchor Pérez de Holguín, the most famous painter in Bolivia. The building itself is as impressive as the works of art on display, with two beautiful courtyards that house many cacti and an apple tree. It has to be visited during a day trip in Potosi. 3. Fiesta del Espíritu – The most unusual event in Potosí takes place on the last three Saturdays of June and the first Saturday of August. It is dedicated to the Pachamama (Mother Earth), who is considered by the miners the mother of all Bolivians. The peasants bring their best Llamas to Cerro Rico to sell to the miners for a ritual sacrifice. 4. 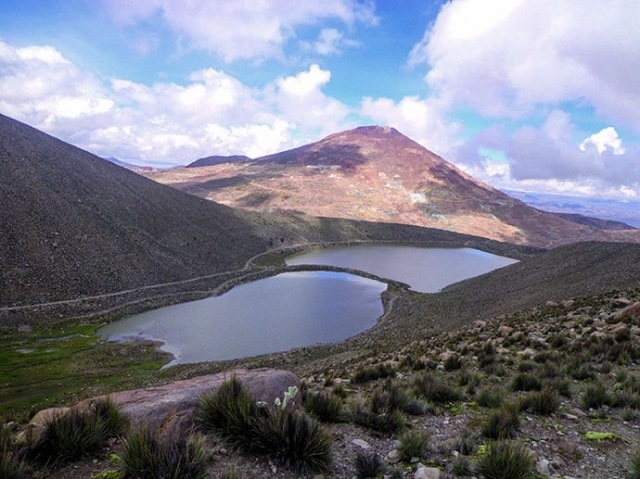 Lagunas de Kari Kari – Kari Kari lagoons are artificial lakes (between 4500 m and 5025 m altitude), built by 20,000 slaves at the end of the sixteenth century and the beginning of the seventeenth to supply water to Potosi to the smelters which operated in the city. Of the original 32 lakes, only 25 remain and all have been abandoned. An essential place to visit during a day trip in Potosi. 5. Iglesiay Museo de San Lorenzo de Carangas – The baroque architecture portal of this church, probably one of the most photographed in Bolivia, is an innate expression of the mixture between Aymara and the Catholic faith of Spain. View the reliefs of a local mermaid playing the guitar and an archangel led by the Archangel San Miguel. It was carved in stone by local craftsmen in the 16th century, but the main building was not completed until 1744 after the church towers were added. Inside, there are two paintings by Melchor Pérez de Holguín and handmade cutlery on the altar. The church has been renovated in 1987. An absolute must visit tourist site during a day trip in Potosi. 6. La Catedral – The construction of the Cathedral began in 1564 and was completed around 1600. The original building lasted until the beginning of the 19th century when it almost completely collapsed. Most of what is now visible is neoclassical construction, and the elegant lines of the building are one of the best examples of this style in Bolivia. The interior decoration represents some of the most beautiful in Potosí. You can visit the belfry for a nice view of the city. Located 3600 meters above sea level La Paz has been nicknamed the city which touches the clouds. It is nestled among the surrounding mountainsides. La Paz was set up in the year 1548. As Bolivia’s capital, it is a well-known stop for tourists to South America. The city has a colorful and vibrant culture which makes it unforgettable. The city has been built in a canyon created by the Choqueyapu River. This is a list of things to do in La Paz. 1. 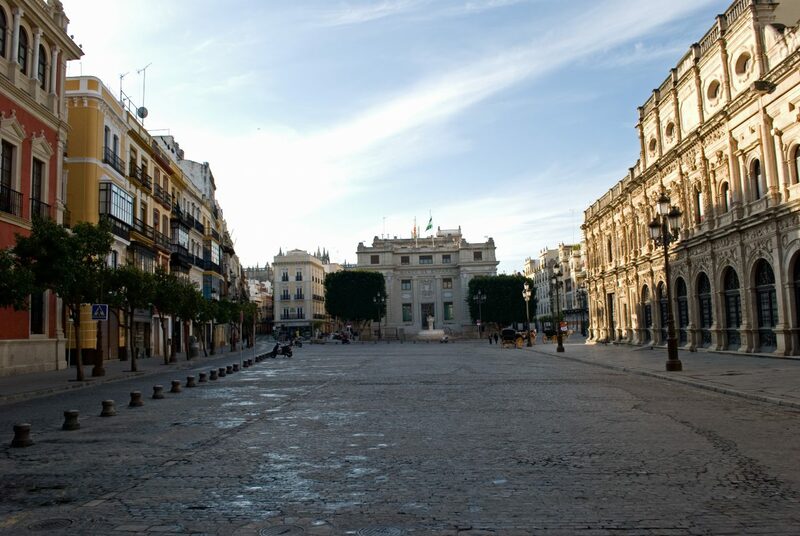 Plaza San Francisco – Admire the historic architecture, see street performers and explore the food and craft markets in this bustling central plaza. In front of the Plaza, there is an imposing church called Iglesia de San Francisco, which combines Métis and the Spanish Baroque style. It is one of the main things to do in La Paz. 2. Calle Jaén – Nuestra Señora de la Paz r our Lady of Peace, was founded in 1548 by Spanish conquistadors on the site of an indigenous settlement. The Spanish architectural heritage is still very present in Jaén Street, a pedestrian street in the heart of La Paz. The narrow and paved road is one of the main tourist attractions of La Paz, rich in colorful buildings, lanterns, and wrought iron balconies. Several museums are also located on the street, including the National Museum of Art (see number 5) and the Museo de Litoral, which displays objects from the Pacific War (1879-1884). Bolivia ended the war after losing its coastal territory to Chile. Visiting it is essential among things to do in La Paz. 3. Witches’ Market (Bruges Market) – The Witches’ Market is located near the Church of San Francisco and goes through some narrow streets. This is one of the most unique places in La Paz with women selling everything from medicinal plants to alpaca blankets and warm Andean sweaters. It is a tourist market, but it also offers a fascinating insight into Bolivian culture. An enchanting things to do in La Paz. 4. Valley of the Moon (Valle de la Luna) – The Valley of the Moon is a fascinating geological anomaly due to its strange lunar landscape. 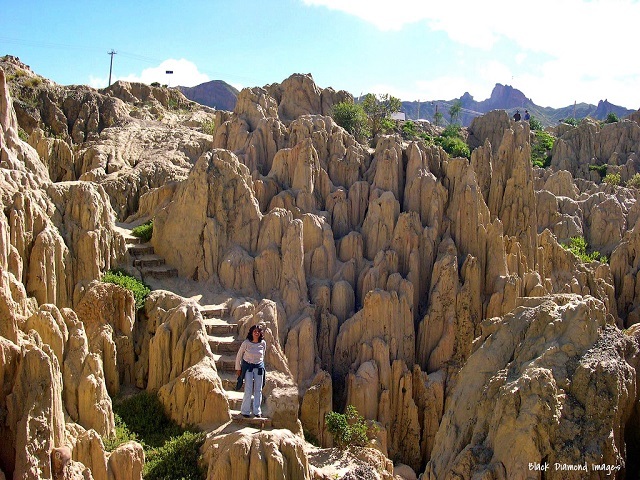 The Valley of the Moon is one of the most popular attractions in La Paz and includes several kilometers of trails that lead through the huge stalagmites and trenches of the valley, which have been dug into the ground for centuries by wind and rain. In addition to its fascinating geology, the Valley of the Moon offers a breathtaking view of the Andes outside the city. The most fascinating among things to do in La Paz. 5. Ruins of Tiwanaku – Recognized as a world heritage site by UNESCO in 2000, Tiwanaku is an ancient archaeological site that bears the name of one of the most important ancient civilizations before the Inca Empire. 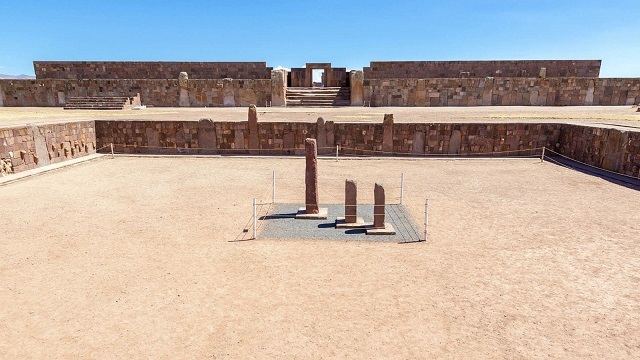 The ruins of Tiwanaku are located next to the small town of Tiwanaku on the Altiplano on Route 3, which runs from La Paz to the west to Lake Titicaca. 6. Killi Killi – Mirador Killi-Killi is an observation point in La Paz, Bolivia, between Villa Pabón and Plaza Abaroa. Walk up the stairway, take a few minutes to catch your breath and enjoy the beautiful panoramic views of La Paz. 7. El Alto Market – El Alto is a city that has exploded over the years (with almost 1.5 million inhabitants), while Bolivians from rural areas are moving to the city. It is one of the largest cities in the world at 4150 meters altitude. The largest outdoor market offers everything you can imagine and is a true Bolivian experience. 1. Babur Gardens – Babur Gardens, locally known as Bagh-e Babur, is a historic park in Kabul, Afghanistan, and the final resting place of the first Mughal Emperor Babur. It is believed that the gardens were built around 1528 AD when Babur ordered the construction of a street garden in Kabul, which is described in detail in his Baburnama memoir ad considered one of Kabul sightseeing spots. The Mughal princes had the tradition of establishing recreational sites during their lifetime and choosing a place to be the final resting place. 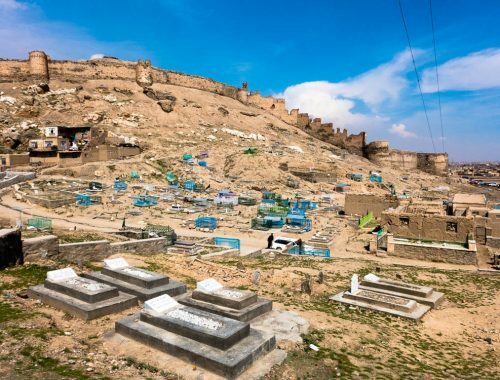 The area continued to be necessary for Babur’s successor, and Jehangir made a pilgrimage there in 1607 AD, ordering all Kabul gardens to be walled and a tombstone placed at his head. 2. 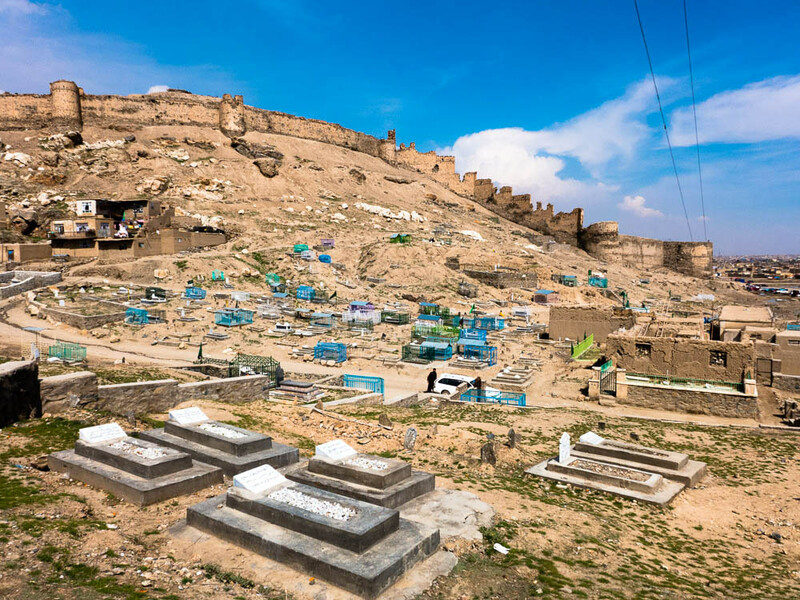 Bala Hissar – Bala Hissar is an old fortress in the city of Kabul, Afghanistan and the essential Kabul sightseeing spots. The planned construction date is around the fifth century AD. Bala Hissar is located to the south of the modern city center at the end of the Cow e Sherdarwaza mountain. 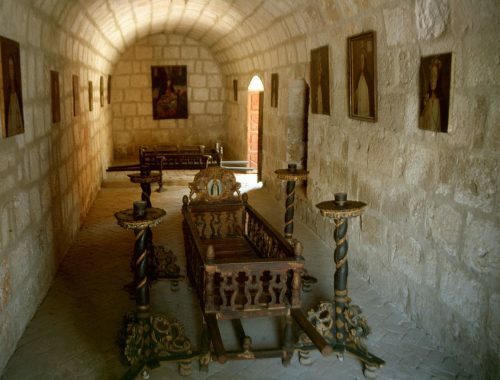 Initially, Bala Hissar was divided into two parts: the lower fortress, which houses the stables, the barracks and the three royal palaces, and the upper fortress (the royal fortress of Bala Hissar), where the armory and prison known as the infamous Black Well are located. 3. 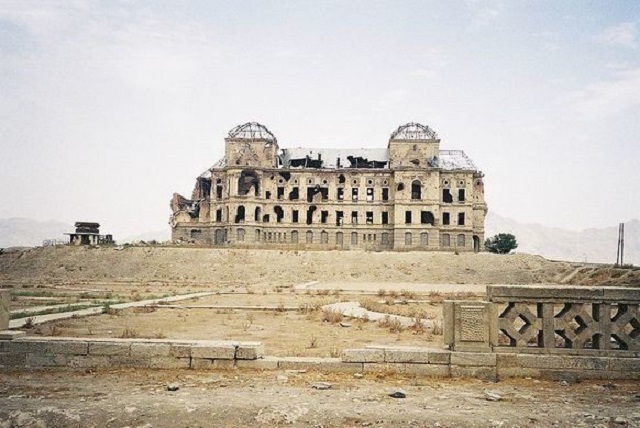 Darul Aman Palace – The Darul Aman Palace (also known as the Palace of Peace) is the ruins of a palace located about 16 kilometers from Kabul, the capital of Afghanistan and main among Kabul sightseeing spots. It is a palace built in European style. On a hill behind the castle stands the Tajbeg Palace of the former Afghan queens. 4. 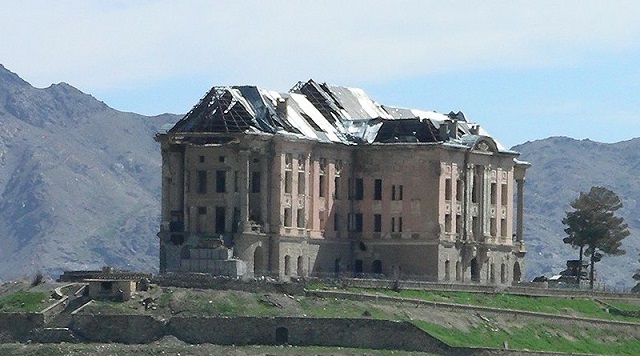 Tajbeg Palace – The Tajbeg Palace or Tapa-e-Tajbeg is the ruin of a palace 10 km south of Kabul, the capital of Afghanistan and the chief Kabul sightseeing spots. It is a few meters from Darul Aman Palace and was the palace of the Queen of Afghanistan. 5. Kabul Museum – The National Museum of Kabul is the National Archaeological Museum of Afghanistan in the capital, Kabul. It was founded in 1920 and is one of the principal Kabul sightseeing spots. The museum is located in a two-storied building in the historic city of Kabul. The Central Asian collection of more than 100,000 coins was looted in August and September 1996 under the Taliban regime in Afghanistan. 6. Paghman – Paghman is about 23 km from Kabul. Behind the Qargha Lake is the beautiful village of Paghman, 23 km away, between many streams. At the beginning of the century, it was the summer residence of King Amanullah Khan (1892-1960). 1. For tourists wanting to do sightseeing, the city offers a lot of possibilities. The Cathedral of Saint-Hippolyte and the Evangelist Church, the building of the Town Hall which also houses a painting gallery are very interesting. 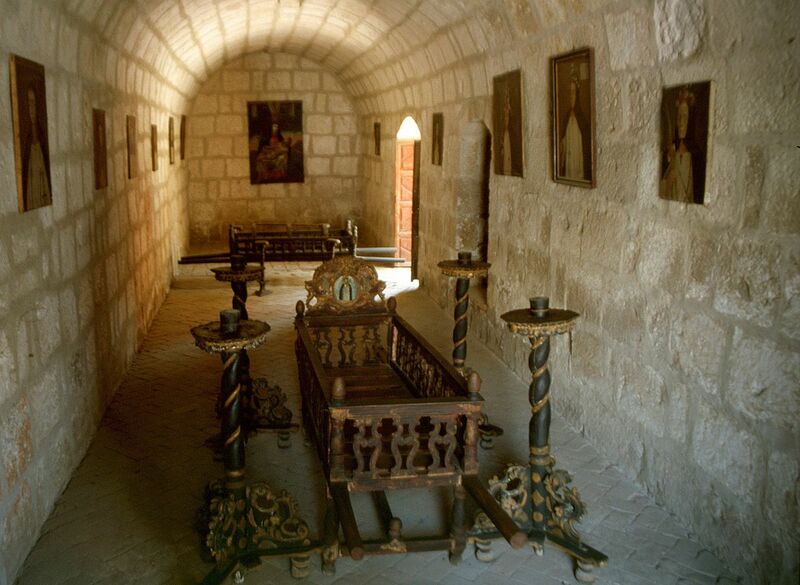 The Museum of Local History presents the history of the city since ancient times. Fans of history will inevitably appreciate the Fortress of Prielau. The walk in the medieval streets will bring a rare pleasure one of the essential things to do in Zell am See. One can reach the Krimml Ski slopes by an old narrow-gauge railway, from which one can admire the landscapes of unique beauty. 2. Tourists come here to relax on lakeside beaches. 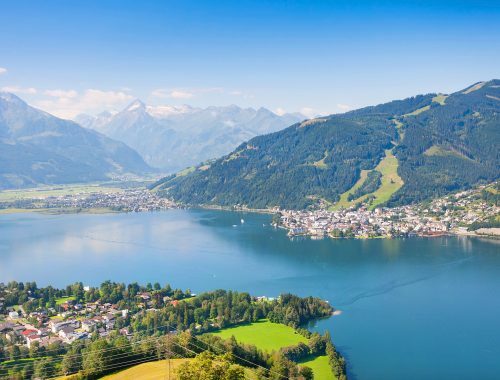 This lake is deep, so travelers are welcome to take part in activities that are not typical for these parts, such as diving which is popular among things to do in Zell am See. During summer, tourists can choose from many hiking and horseback rides. They can also visit the riding school close by. In the vicinity of the complex, you will find several prestigious golf clubs, tennis courts, and other playgrounds. 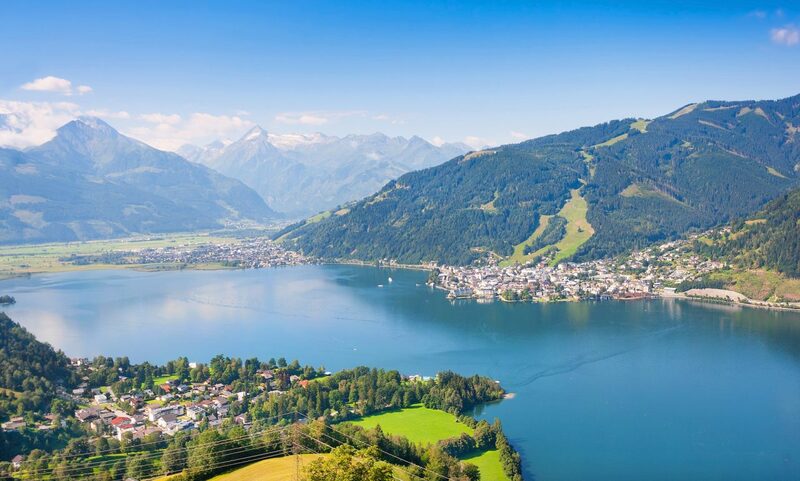 Zell am See continues to be one of Austria’s most recognizable and popular resorts. In the warmer months, the main attraction of the resort is hiking. Vacationers can explore the sights both on foot and by bike. There are several playgrounds and recreational areas for children also. 3. At the station, there is a fascinating history museum. 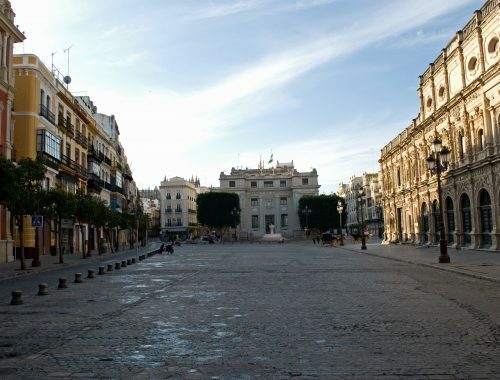 Most of the exhibitions date back to the time of the founding of the city. Visitors have the opportunity to see archaeological artifacts discovered by researchers in the area and to evaluate the collection of important historical documents and early images of the city. Most museum pieces are real works of art. It will be fascinating for the admirers of paintings to visit the art gallery the most fun among things to do in Zell am See. It houses unique works by William Cowley, Günter Brus, Terry Winters, and other Austrian painters. 4. Near the city, there is an exciting natural attraction, the ice caves of Werfen. 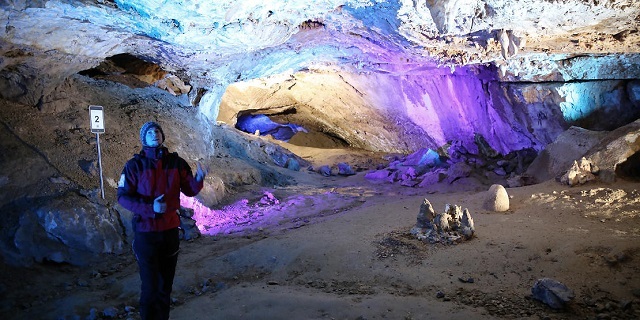 You can visit the caves only at certain times of the year an adventure among things to do in Zell am See. Travelers usually come here as part of guided tours of the old Hohenwerfen Castle. It is not very far away. 5. In addition to its attractions, the resort is famous for providing a good time here at any time of the year. The Steinerwirt restaurant invites visitors to enjoy classic Austrian cuisine. Those who decide to visit the restaurant at night are recommended to book a table in advance. Cabbage duck is particularly popular among regular customers. The Einkehr restaurant is perfect for sampling Austrian specialties. It’s a nice place for a family vacation, as qualified chefs prepare delicious and original dishes for young visitors. In addition to gourmet treats, guests are invited to choose a fine wine, as the choice of drinks at Einkehr is very impressive. You can try different varieties of pizza with soft drinks in the Villa Crazy Daisy restaurant. In the warmer months, visitors can stay at the beautiful outdoor terrace. There is also a spacious and elegant room with natural light. In addition to the original pizza, the restaurant offers fresh salads and appetizers. Thanks to its past as an imperial residence, Vienna offers a real history show. In today’s Vienna, contemporary culture also plays an important role. This can be found for example in the Museums Quartier, the museum district, or in the many art galleries. The city is considered by many to be the city of music due to its rich musical history. 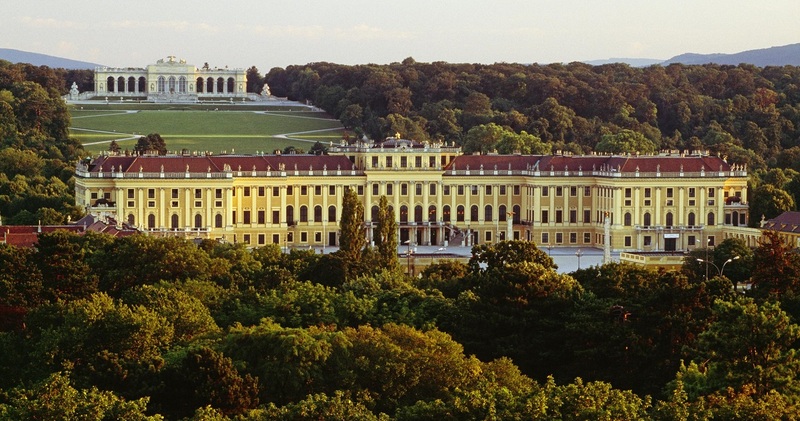 Vienna is full of history with baroque castles and gardens, beautiful architecture and impressive monuments and parks. 1. Belvedere –The Belvedere is composed of two 18th century castles which are among the most beautiful baroque ensembles in Europe. Above all, it is an essential museum for those who want to understand the Viennese artistic revolution at the turn of the 20th century. Visit the Oberes Belvedere (Upper Belvedere) and its rooms dedicated to Impressionism, Realism and the Viennese Secession led by Klimt and Schiele. It is among Vienna best places to visit. 2. Schönbrunn Castle – The summer residence of the former imperial house, Schönbrunn Palace, is one of Vienna’s most famous landmarks and one of Vienna best places. This castle inextricably linked with history and culture has played an essential role in the past of the city. Visitors can admire the old castle from the inside – in the imperial chambers – and also the vast park, the labyrinth and the gazebo outside. 3. 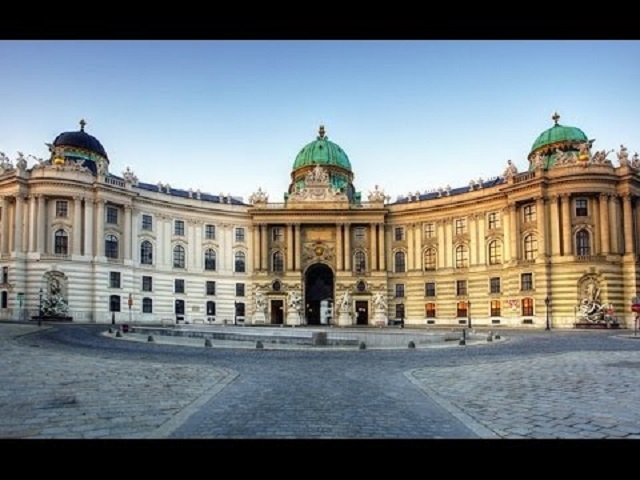 Hofburg Imperial Palace – A visit to the Hofburg Imperial Palace, the main palace and the Habsburg winter residence, is a must during a visit to Vienna and essential among Vienna best places. It houses the Spanish School of Horse Riding, in which the classical arts of horse riding can be admired, but also the imperial apartments, the Sisi Museum, and the Imperial Silverware Collection and it offers visitors as well a cultural experience unique. 4. Albertina – The Albertina Museum is one of Vienna’s most impressive art museums and has one of the largest and most important collections of graphic art in the world. You can admire works of art from the fields of photography to masterpieces of Impressionism and modern graphic arts. Fans of Monet, Cezanne, Klimt, and Picasso find their happiness in the Albertina. The imposing buildings of the 18th century already justify a visit. It is one of the most historic among Vienna best places. 5. Danube Tower – The Danube Tower offers you one of the most spectacular views of Vienna. From the panoramic terrace at the height of 155 meters, you have a fantastic view of the entire city – as far as the eye can see. The building, also used as a radio-television tower, houses a revolving restaurant around the tower and a glazed terrace. It is the ideal place to take souvenir photos of the city and probably the Vienna best places. 6. St. Stephen’s Cathedral – St. Stephen’s Cathedral is with the Treasury, its religious importance and its characteristic colored tiles one of the most imposing buildings in Vienna. The South Tower with its many bells rises high to the sky and is visible high above the roofs of Vienna, while the interior of the church impresses visitors with the Gothic style.